The Silver Loach is a lively shoaling fish, yet peaceful with its tank mates in a community tank! The Silver Loach Yasuhikotakia lecontei is an attractive Botia that can have a multitude of color variations. Its body color can range from a brownish yellow to a blue, or a light blue/green. Its fins and tail can vary too, with some having pale yellow fins to others that are an orangish red. The appearance of the The Silver Loach is described by almost all of its common names. These include Yellow-finned Loach, Red-Finned Loach, Gold Fin Loach, Red-tailed Blue Loach, Red tailed loach, and sometimes other variations of these. The only non-color related common name is LeConte's Loach, which is derived from its scientific description. The Silver Loach is often times mistaken for its close relative the Redtail Botia Yasuhikotakia modesta because they are very similar in body shape and coloration. However the Silver Loach is a little slimmer, so not as heavily built, and it also doesn't get quite as large. This loach will reach up to about 6 inches (15 cm) in the aquarium rather than the 7 to 8 inches of the Y. modesta. But perhaps the most distinguishing feature that defines the Silver Loach is the dark spot at the base of the tail when it is an adult. The Redtail Botia differs by having a dark vertical (and often indistinct) stripe, but never a spot. The common name Red-finned Loach, though actually ascribed to this species, has often been used for the Redtail Botia as well. These two fish are so often mixed up that this common name is now seldom being used for either of them. The Silver Loaches are known to be a bit shyer than many other Yasuhikotakia species. Like their relatives they too are nocturnal fish, meaning they are active in the evening and during the night. However they are peaceful and suitable to keep in a community environment with other peaceful fish. Because they are rather shy, they will acclimate to the aquarium best if they have the company of their own species. It is recommended they be kept in a group of five to eight, with three being the minimum. They do have a social hierarchy, with a dominant fish leading the pack. They may squabble among themselves, but will less so than other Botias. The Silver Loach is a durable fish but it does need pristine water. It does best in soft, acidic and slightly warmer water and must have frequent water changes. The substrate needs to be a fine gravel or sand that does not have sharp edges. Provide lots of hiding and resting places in caves, rocks, and roots. They like a well planted tank but they are diggers and may uproot them. 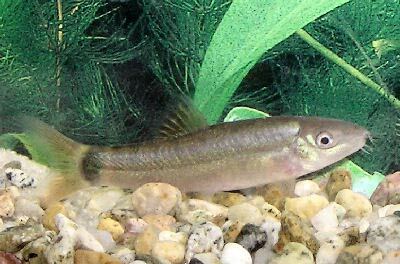 The Silver Loach Yasuhikotakia lecontei (previously Botia lecontei) was described by Fowler in 1937. It is found in Southeast Asia and has been collected throughout much of the middle and lower Mekong basins in Thailand, Laos, Cambodia and Vietnam plus the Chao Phraya and Mae Klong drainages in western and central Thailand. Other common names they are known by are LeConte's Loach, Yellow-finned Loach, Red-Finned Loach, Gold Fin Loach, Red-tailed Blue Loach, and Red tailed loach. This species is listed on the IUCN Red List as least concern (LC) because although it is found in fisheries and the aquarium trade, impact from harvesting or other threats are not identified at present. A study by Rainboth in 1996 of the Silver Loach describes its habitat as "bottom depths of flowing rivers and forages under the cover of dusk/darkness, spending daylight hours concealed amoung rocks, tree roots or other submerged objects." His study was done in the Mun River in Surin province, northeastern Thailand. They are found in fast moving waters of medium to large rivers. In nature they are primarily carnivorous feeding on insects, crustaceans, larvae and will if available feed on soft leaf aquatic plants. The Silver Loach is a fairly good sized loach that can reach almost 10" (25 cm) in nature, though often a bit smaller in the aquarium at about 6 - 7" (15 - 18 cm). Their life span is generally about 6 - 12 years. This loach has a sharp, motile sub-ocular spine that is usually concealed within a pouch of skin. This spine will protrude when stressed. The coloring of this loach can be quite variable from brown to yellowish, or light blue to light green-blue. It is also darker on top and lighter on the belly. The fins can be a pale yellow to an orange red and there is a large dark spot at the base of the caudal fin. Juveniles have narrow dark vertical stripes and can be an iridescent green color, but the stripes will disappear as they mature. Size of fish - inches: 9.8 inches (24.99 cm) - These fish reach up to about 6-7" (15-18 cm) in the aquarium. In the wild these fish can get up to 10" (25 cm). Lifespan: 12 years - This fish can have a lifespan of about 6 - 12 years. In nature their diet consists of insects, crustaceans, larvae and occasionally soft aquatic vegetation. Since they are omnivorous, the Silver Loach is not too picky an eater. It does best with live foods such as insect larvae, worms, and crustaceans. Some good protein choices are mosquito larvae and brine shrimp (available as either live or frozen), tubifex, earthworm, and daphnia. To keep a good balance supplement with other various frozen or dry proteins, sinking pelleted and tablet foods, flakes, and some vegetable foods such as algae wafers. They may also eat snails. The most important thing for these loaches is that they always have clean and well-oxygenated water. Frequent water changes of about 30% a week are needed for this loach. With your weekly water change make sure to vacuum the gravel to remove all excess food and waste, but It's best not to remove any bio film on rocks and decor. A magnet algae cleaner normally does a great job in keeping the viewing pane clear. The Silver Loach or Leconte's Loach will swim mostly on the bottom of the aquarium, but will sometimes swim in the middle as well. Never introduce this loach into a biological immature setup as these fish require pristine water. This fish needs a larger aquarium of 45-55 gallons when young and up to 75 gallons as adults. They do best in a soft to medium water with subdued lighting. They also need good water movement that provides plenty of oxygenation. The tank water should turnover at least 10-15 times per hour. An undergravel filter is a great choice for these fish as it creates high oxygen through out the tank as well as reducing the waste. Adding a canister filter or power head to the setup will make the proper current for this loach. They are a peaceful fish that are timid and nocturnal, getting quite active at night. They do well in a community aquarium with other non-aggressive fish. However be cautious if adding slow swimming long-finned tank mates, because as with most loaches, they will nip at those tempting fins. They do best if kept in a group of of five to eight (minimum of three) to feel comfortable and come out of hiding. Once acclimated they are quite active and lively. Often when this fish is introduced to a new tank with other Silver Loaches battles for dominants occur. The new loach will lose much of its pattern and coloration, known as "greying out". This is nothing to worry about as once the loaches re-establish their hierarchy the coloring will return. Same species - conspecifics: Yes - Best kept in groups of 5 or more, with a minimum of 3..
Plants: Monitor - They may feed on soft leaf aquatic plants. The Silver Loach or Leconte's Loach have not yet been bred in the aquarium and they are not yet bred commercially. In nature these loaches are seasonal spawners. Ease of Breeding: Unknown - Have not been breed commercially. An outbreak of disease can often be limited to just one or a few fishes if you deal with it at an early stage. When keeping these sensitive types of fish, it is common to catch deteriorating water conditions and disease before other fish are affected. The best way to proactively prevent disease is to give your Silver Loach the proper environment and give them a well balanced diet. The closer to their natural habitat the less stress the fish will have, making them healthier and happy. A stressed fish will is more likely to acquire disease. 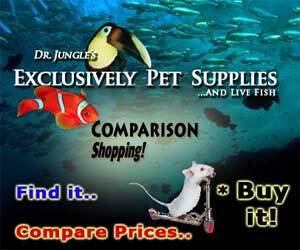 The Silver Loach or Leconte's Loach is readily available at pet stores and online.